Search the question "what is financial success?" on the internet, and you'll get millions of results with countless different answers. While some define financial success as having a few million in the bank, for others, financial success is as simple as being able to afford the roof over their heads or to send their kids to college without incurring tons of debt. While there are many ways to define financial success, there's only one real way to achieve it: Manage your money responsibly. How can you do that? Just follow this simple five-step recipe, and you'll be able to achieve whatever financial success means to you. To be financially successful, you have a lot to save for, including retirement, emergencies, and unexpected expenses. To cover everything, aim to put aside around 20% of your income divided among retirement funds -- where at least 15% of your income should go -- and other goals, like funding an emergency fund, saving for a house down payment, and saving for college for your kids. In 2016, the median household income was $57,617, which means the median household should be saving around $11,523 annually. What would happen if you saved this much? If you saved $8,642 annually (15% of your income) in a 401(k) from age 30 to 65 and earned a 7% return, you'd have $1.19 million by retirement -- and this assumes you never get a raise and don't get an employer match. If you saved $1440.42 annually (2.5% of your income) in a tax-advantaged 529 account for 18 years and earned 7%, you'd have $48,958 for your child's college fund. And you'd still be able to save an additional $1,440 each year for other goals. If you saved $2,880 per year (around 5% of income) for just over 10 years in a taxable account, earned 7% and were in the 15% tax bracket, you'd have enough to put down a 20% down payment on a $200,000 house. If you saved $240 monthly (around 5% of your income), you could save up a $1,000 emergency fund in just over four months, or a $2,000 emergency fund in just over eight months. As you can see, there's a lot you can accomplish by saving enough of your cash. You know those things you can accomplish by saving 20% of income? You actually have to be able to save to achieve them. To do that, create a budget that prioritizes savings. Six in 10 households have no budget, which could be why 6 in 10 households don't have $500 in the bank in case they need it. If you don't have a budget, it's hard to know what you're spending too much on, or whether your money is going to the right places. With a budget, it's easier to spend less than you earn and prioritize savings. You can identify where spending is out of control, decide how much to allocate toward different categories, like clothing or entertainment, and make sure outgoing expenses don't exceed incoming funds. Having a budget and living on a budget aren't the same thing. There'll be bad months when you overspend -- and that's OK. What's not OK is shortchanging retirement savings. Scary retirement statistics show Americans are woefully unprepared for retirement, and this can be a disaster since you cannot live on Social Security alone. If you automate your retirement savings by having 401(k) or IRA contributions directly deposited each payday, the money will be taken out of your hands before you ever see it and you won't have the option to avoid investing in your future self. Remember that emergency fund you're saving for? Turns out you really need it. Research conducted by Pew Charitable Trusts revealed 60% of households had experienced a financial shock -- like unemployment, or a car repair -- in the past year. Around 1/3 of families had at least two shocks, and the median household spent half their income on the shock. Six months later, half of the families who'd had a shock were still struggling: They had $4,000 less in liquid savings, and were more likely to be in credit card debt. If this doesn't sound fun, start by building up an emergency fund of at least $1,000 and work toward a fund that will cover three to six months of living expenses. You can quickly build up an emergency fund by temporarily prioritizing emergency savings in your budget, cutting expenses, or taking on a side hustle. Once you have an emergency fund, use it only for true emergencies and rebuild ASAP if the money must be spent. Around 1/5 of credit card accounts were paid late in 2015, according to the Consumer Financial Protection Bureau. You don't ever want to pay late, and you should set up automated payments, or calendar reminders, to avoid this calamity. Late payments come with penalties, up to $27 for a first-time late charge, or $38 for repeated late payments on a credit card. Fees on a mortgage are much higher: You're charged a percentage of the late payment, so a 5% late charge on a $1,500 mortgage payment could cost you $75. 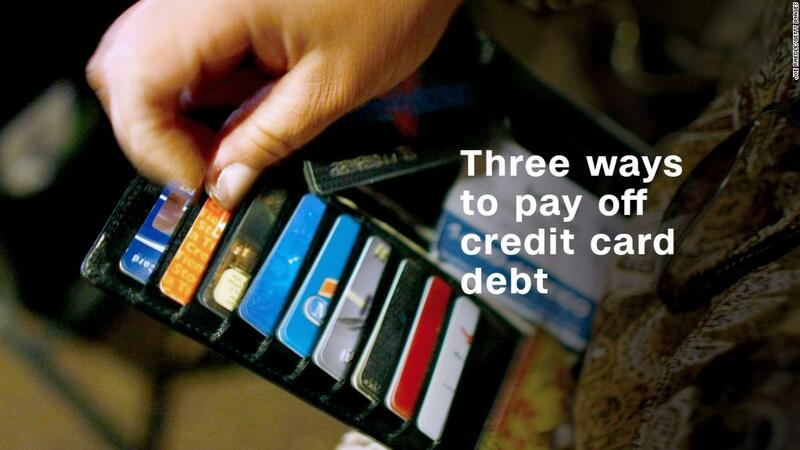 Late payments could also trigger a penalty APR -- often as high as 30% -- on credit cards. This penalty APR may remain in effect once triggered, even if you've become current. If you owe $2,000 on a card with 12% interest and make 3% minimum payments, you'd pay $861 in interest over the 9.2 years it would take to pay off the card. If a 30% penalty APR went into effect, you'd pay $8,088.41 in interest over a 29.2 year repayment period. See why a late payment is such a terrible idea? As if this wasn't enough reason to pay on time, consider the impact on your credit score. If you had great credit -- a FICO score of around 780 -- say goodbye to that score: Being late only once will drop it as much as 110 points. Borrowers with a score of 680 could still experience around a 60 to 80 point score drop -- a big deal because a score below 640 is considered subprime. Bad credit means every financed purchase costs more. It just isn't worth it.